Cari has years of experience in talking. She has done sales, marketing, management, and various volunteer roles. She has also studied sociology, journalism, and education. Currently, she is a branding consultant, graphic designer, and blogger by day- and paranormal rock star by night. Cari has witnessed the paranormal for as long as she can remember and was intrigued by the stories her grandparents would tell. As a child, she would sit for hours and listen to legends of the haunted low country in South Carolina. It wasn't until the last several years that her interest grew to the level it is now when her family had a need for a paranormal team to investigate their home. Since then, Cari has made it her mission to learn all she can about the paranormal field and to assist others when they are facing the paranormal. Along with this, Cari wants to teach others about the field and broaden the understanding and public awareness of the paranormal field. She spends her time researching and investigating ghosts, demons, cryptids, UFOs, and other anomolies. She has a passion for trying out new tactics and using technology to further her research. Cari is married to a Bigfoot hunter and has a little boy who wants to find Bigfoot when he grows up. Her one-year-old daughter will most likely carry on being a paranormal sass. Cari is clumsy, goofy, geeky, and glittery. Most of all, Cari is EPIC, just ask the paranormal minions! Cari is a self-proclaimed know-it-all, geek, and information addict. 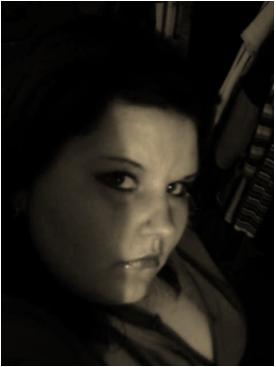 Cari is the publicist, case manager, and a founding member of the Carolina Cryptid Crew. Cari is also one of the founding members of Carolina HOPE (Hunters of Paranormal Existence). Cari has recently gone through some changes with her role in the paranormal field. She has some big projects coming, and looks forward to diving in full force and having you along for the ride.